At Canadian Au Pair Solutions, we have consulted with many families who have had endless questions about how the Au Pair process works in Canada. What are the main differences between an Au Pair and a Caregiver (Nanny)? Do Au Pairs have any childcare experience? How selective can I be about my Au Pair? Can I choose the county she is from or her education level? How long does the process take before I can have an Au Pair in my home? When is the best time to search for and welcome a new Au Pair? What kind of duties/chores can I assign to an Au Pair other than childcare? If my Au Pair travels with my family do I cover her expenses? Can my Au Pair care for my children overnight? Can we “Au Pair-share” with another family? We have four children, is this too many for an Au Pair? Can my Au Pair get another job while in Canada? What kind of accommodation must I provide my Au Pair? Can my Au Pair go to language school or attend classes while she is in Canada? Can an Au Pair do volunteer work while in Canada? Who pays for my Au Pair’s travel expenses and Visa? How many hours per week can my Au Pair work? Can my Au Pair drive in Canada? As a single parent, can I get an Au Pair? Can I use a provincial childcare subsidy to help pay my Au Pair? An Au Pair lives in your home and becomes a part of your family while benefitting from the cultural exchange of being in a new country. Au Pairs use the opportunity to travel and learn a new language whilst living with a host family and caring for their children. Unlike Live-in Caregivers, Au Pairs are generally only in Canada for a 6-24 month period as part of the International Experience Canada program and using a Working Holiday Visa. Au Pairs do not require sponsorship or registration though the Canadian government. Au Pairs often work 25-35 hours per week while most Live-in Caregivers will not work for less than 40 hours per week (they are generally working towards permanent residency in Canada and must meet certain requirements involving hours worked in a given time frame in order to qualify). The relationship between a host family and Au Pair is more family-based versus an employer/employee relationship with a Live-in Caregiver. See our Au Pair vs Live-in Caregiver link for more information on the financial differences as well as other details. Au Pairs generally have some form of childcare experience that ranges from babysitting younger siblings and other children to formal nanny and daycare experience / education. You can be very selective in choosing your Au Pair. Our membership packages include steps and guidance for screening potential Au Pair candidates. Under the Working Holiday Visa you are limited to Au Pairs from countries with agreements with the Canadian government. You can certainly screen candidates based on their education level. The process varies and is dependent on whether you have found an Au Pair who already has the appropriate Visa or whether the Au Pair still needs to apply. 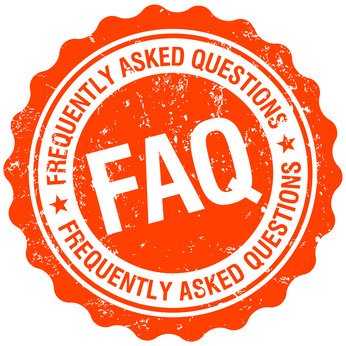 In general, the Visa process can take from 8-12 weeks. If the Au Pair already has a Visa, it will be dependent on how quickly she can get a flight and come to Canada. You also have the option of searching for a Canadian Au Pair who requires no Visa and may be available sooner. The best time to search for an Au Pair is in the Fall/Winter, when Canada opens the International Experience Canada program for the next calendar year. We recommend that families begin their search for an Au Pair at least 3-6 months prior to actually needing the Au Pair’s services. This gives plenty of time for the selection process, IEC program and Visa approval, as well as required travel arrangements. Most young women know a year in advance that becoming an Au Pair is something they aspire to do upon high school or university completion. The end of summer, August, is the best time for the arrival of a new Au Pair as it leaves her time to get to know the family before the school year begins and it is usually when she is ready to travel after finishing school. An Au Pair’s duties/chores relate directly to childcare. Some examples include light household tasks such as: tidying children’s play area/room, making children’s meals, packing children’s lunch. An Au Pair should never be expected to do any housekeeping duties that don’t directly relate to your children (i.e. parent’s laundry or cleaning toilets). Yes. If you require your Au Pair to travel with your family and work while she is away with you, you are expected to pay for her travel expenses. Any spending money is the responsibility of the Au Pair. If you give your Au Pair the option of travelling with you and don’t expect her to work while you are away, you may be able to negotiate travel expenses. Yes. This will depend on your Au Pair’s experience and your comfort level leaving your children overnight. Compensation for this type of care should be negotiated with your Au Pair in advance. Generally, host families do not “share” their Au Pair. That being said, if an Au Pair is interested in making some extra spending money, she can babysit for friends of their host family. Her work Visa allows her to work for whomever she likes but you may want to address this specifically in your contract. Four or more children is a lot for anyone to handle, however if your Au Pair has ample time off and is paid reasonably to account for the extra work 4 kids require then it is a possibility. Be upfront with potential Au Pairs about the expectations and work environment. Although you have many children, your location and benefits or perks you offer may help encourage Au Pairs to apply with your family. Yes. As long as your Au Pair has a Working Holiday Visa, she can work in most fields during her time in Canada. This is something families might want to talk with prospective Au Pairs about prior to hiring however as multiple jobs creates less flexibility in the Au Pair’s schedule. Your Au Pair should be provided with their own private bedroom and preferably access to her own bathroom. The Canadian government advises that any courses taken while in Canada on a Working Holiday Visa must be completed within a six-month period. Restrictions to the IEC Working Holiday Visa limit Au Pairs from attending post-secondary/formalized educational institutions. Some community centres offer language drop-in sessions but this varies by community. Absolutely. There are no restrictions regarding volunteering. Your Au Pair pays for her own Visa and related travel expenses. An Au Pair generally works between 25-35 hours per week but can work up to 40+ hours a week depending on Provincial Employment Standards. Any overtime must be addressed according to Provincial Employment Standards. Yes. Although each Province is responsible for its own licensing regulations, many Canadian provinces have reciprocal arrangements, allowing new residents to acquire a Provincial Drivers Licence after presenting a driving record or letter of experience from the reciprocal country. We cover this topic in our membership packages. Yes. Being a single parent does not preclude you from the benefits of having an Au Pair. The short answer is yes. As with any other host family, you need to be registered as an employer with CRA and Work Safe and other federal/provincial legislating bodies. In BC, you are responsible for completing a Child Care Subsidy claim every month. The Au Pair is required to sign the claim form confirming that they have provided child care before payment will be issued. Payments for child care provided in the child’s own home are paid to the parent and the parent is responsible for paying their Au Pair.